Are you tired of swiping right on the commode all by yourself while your friends indulge in *western imports* like Valentine's Day double dates? 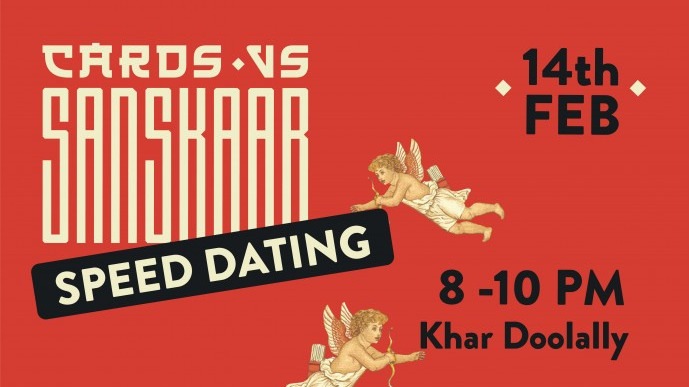 Inspired by the format of traditional speed dating, Cards vs Sanskaar brings to you an all new way of playing the game and meeting new people! A Valentine's Day special playtest, we're planning a cozy evening at Doolally Khar for anyone and everyone who needs an excuse to party that night. Share "Cards vs Sanskaar x Speed Dating: Valentine's Day Special Playtest"